In May, 2018, Joel Sheridan’s debut CD Spellbound was released, and had its official launch at Jazz Bistro, Toronto's premier jazz supper club, to a capacity crowd. A collection of standards, rarely-heard musical gems from the masters of the Great American Songbook, and Joel's self-penned originals, Spellbound has received critical praise and international airplay in Canada, the United States, and Europe. After graduating from George Brown College's Acting program, receiving two scholarship awards to the Banff Centre, School of Fine Arts' Drama program (Banff, Alberta), and studying with New York acclaimed acting coach William Esper, Sheridan started his career as a stage actor, and later, after years of singing training, performed in local revivals of Broadway musicals, including Bye Bye Birdie (in the title role), Oh Coward! (a Noel Coward musical revue), and Stephen Sondheim's Follies (as Benjamin Stone). Joel landed the musical lead in the Stratford Festival's Twelfth Night Blues (a musical version of 'Twelfth Night') The show received critical praise, and Sheridan's performance was deemed "outstanding". Portraying a 1940's jazz vocalist in the show to rave reviews, Joel fell in love with singing Jazz, and realized that he wanted to change his musical direction. 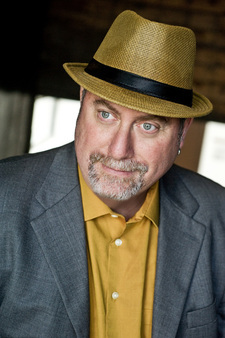 Known for his warm, sensual, and emotionally-expressive baritone voice, and engaging personality, Sheridan has performed in a variety of musical settings ranging from the totally exposed intimacy of a singer/musician duo, to the hard-swinging vocal power required to front a Big Band. Sheridan breathes new life into jazz and classic pop standards with his fresh interpretations, embracing an eclectic repertoire that includes swing, bossa novas, urban blues, R&B, jazz takes on the best of contemporary pop, and his own beautifully-crafted originals. An accomplished songwriter of both music and lyrics, Joel has also written, produced, and performed musical tribute shows honouring superlative songwriters Cole Porter, Harold Arlen, Ira Gershwin, Harry Warren, and Antonio Carlos Jobim, and legendary vocalists Nat 'King' Cole, Billie Holiday, Joe Williams, Chet Baker, Johnny Hartman, Mel Tormé, Ella Fitzgerald, and Frank Sinatra. Joel Sheridan has performed with some of North America's top jazz musicians, captivating standing-room-only audiences at premier clubs, concert venues, and jazz festivals, including Jazz Bistro, The Old Mill Inn, The Home Smith Bar, and 6 consecutive seasons at the TD Toronto Jazz Festival.